There are several questions which will make a huge impact on your success at planning and saving for retirement! All the rest of the decisions are trivial by comparison. Fussing over the rise and fall of the stock market will make little difference in the big scheme of things over your working life. Investing in quality investments and not chasing get rich quick schemes will also make a difference. Depending on how you answer these questions and how you apply these answers to these questions will determine your long term retirement life style and quality of life. This is important since it affects how well you will live during your retirement, the quality of your life and what if anything you leave to your heirs. Focus on these for success. Are you a saver or an investor? How should you divide up your money? How much help do you really need? What’s the best use of tax-deferred plans? How much can you draw from your savings? 1. Are you a saver or an investor? Long term savings using conservative investments has proven to be more successful over the long term compared to chasing the elusive stock speculation objective. Saving at least 10% of your income every year is going to make a huge difference. Not touching this money and not taking it out early will ensure that you have adequate savings when you retire. Some experts suggest that you need 11 times your salary saved up to ensure that you have adequate funds for retirement. 2. How should you divide up your money? Practice diversification between stocks, mutual and bonds to protect from market swings. Avoid placing all of your money in one investment or even with one investment manager. Diversity over the long term is the key element along with investing in quality stocks, bonds and mutual funds. Focus on dividend paying stocks who have both a growth trend in the value of their shares and a history of increasing the dividends each year. 3. How much help do you really need? Get advice from experts and teach yourself about investing and planning for retirement. If you need help with calculations of how much retirement income you will need and how much you will have don’t hesitate to ask for it. But fundamentally retain control and never turn complete control over to a so-called expert. Be involved in all decisions and if you do not understand what is being suggested, ask enough questions to allow you to understand and if you still don’t get it, then back off until you do understand. 4. What’s the best use of tax-deferred plans? The experts can help you figure out the right balance between tax deferred plans and regular savings plans. Remember that tax deferred plans mean that taxes are deferred until later in life presumably when you have a lower tax rate. The government wants you to be self sufficient, but they also want your tax income as well. 5. How much can you draw from your savings? 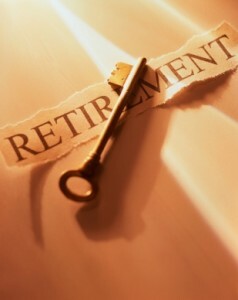 When should you retire and how much can you take out each year to make sure your money lasts through your retirement. Some experts say that if you take out 4% each year you have an 80% chance of your money lasting during your retirement. This obviously depends on how you are invested and how long you live. Investing in GIC’s at 1 to 3% will likely mean your money will run out early. Investing in dividend paying stocks and living on the income only will ensure that the money lasts much longer. Figure out how much you need and withdraw money from your accounts accordingly. That’s it, lots to think about but only five questions! They are complicated questions but given our lifelong practical experience, we think these are the important ones. Invest wisely, get involved and keep abreast of what is happening in the markets. Focus on the medium to long term and do not react to the short term volatility of the markets. If the market’s plunge and you are well invested in high quality blue chip stocks you probably will be ok. The markets will recover. You must monitor and make sure that you are not invested in a company such as GM who was considered blue chip at one point then went bankrupt when the economy tanked and they could not react in time. Bankruptcy was the only option to clear debt and to clear union contracts that were holding them back and making them totally unprofitable. So monitor and if you are concerned talk to the experts and then make you own decision. 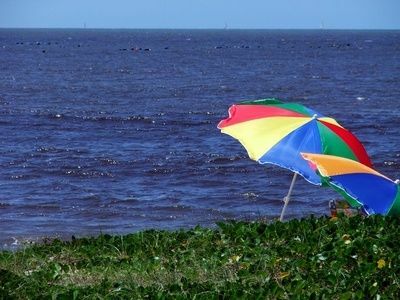 This entry was posted in Retirement Planning and tagged Senior Retirement Plan on 2013/05/21 by ernie. ed In this post about Planning Your Retirement Now we decided to examine all of the elements that many people should consider as part of their retirement planning. You are never too young or too old to put together your retirement plan. You can modify it as life throws various curve balls at you. We believe that consumers should put together an initial plan. Implement the things that need to be done now and then forget about it for a year. When you revisit your plan, be prepared to make adjustments based on current more up to date information. Don’t forget your own updated plans about your retirement. Revisit your plan at least once per year. Update it with any changes that make sense e.g. family changes, income changes etc. We put together a list of the things that we believe consumers should be thinking about while they put together their retirement plans. Not all of them apply at all ages and situations. Consumers will need to review these and make sense of them in relation to their own situations. The bottom line is start saving now. At least 10% of your pay check each pay. Also set aside money for an emergency that hopefully will never come. We will cover each of these in more detail. Most people think of a retirement plan as being able to save enough money to live comfortably after they stop working. While this is a very important element, there are many other factors that need to be considered. However the first thing is to figure out approximately how much money you will need to save to generate sufficient income to live the way you would prefer. A good rule of thumb is to use your current income, add inflation factors to arrive at the amount of income that will be needed. Your income will change over time, however if you establish this initial level and begin saving now when you are young you will be well on the way to achieving your dreams. Ask your accountant, bank manager or financial adviser to calculate how much money you will need to set aside each week to achieve the level of savings that you will need. Use conservative assumptions in terms of interest rate and earnings from your savings. You may be surprised that if you begin saving in your twenties for retirement you will not need to actually save that much each week from your pay check. Younger consumers should assume they will not receive a pension from any company and save enough money to ensure a comfortable retirement. If a pension plan is available from a company, this can be factored in later on. There are no guarantees regarding pensions these days until you actually start receiving a pension. Now that you have figured out how much money you think you will need to have when you retire, we will take a look at some other factors that will influence this amount over time. This is a big question for a lot of people. Some will want to retire as soon as possible, while others may decide they want to work until they are 65 or even older. This is a very personal decision in terms of what you want out of life and also what may be needed financially. We suggest that you pick 55 as an objective in terms of saving enough money for retirement and not having any income from work related activities after that. If you do end up working past 55 for any reason, then this will be gravy money for you if you have met the rest of your plan. Health issues may cause you to retire early, while your company may decide to downsize. In case you are a government worker, please do not assume you have a job for life. Just look at what is happening in Greece with government workers losing jobs and being forced to take serious pay check cuts and benefit cuts. If you have to work for another 30 years a lot can happen in those 30 years. I would rather have a plan that is independent of any pension and then be pleasantly surprised. No decision is needed at this time, but forming some sort of idea about where you will live will help to guide you regarding your retirement plan and the money you will need. Some people just want to stay where they are in their current home and have no plans and never want to move from their current home. Other consumers will move to a new city to be closer to their families, have a vacation home and travel while retired. Your idea of what you will want to do will change over time as well. While you are young, you may have visions of travelling the world when you retire. As you get near to retirement age, these plans may be adjusted based on personal needs, health issues and of course the amount of money that you have available. This is one of the reasons why we suggest that every consumer re-evaluate their retirement plan every year. As your plans for vacation homes, travel and family change over time, your retirement plan needs will also change. Downsizing is another issue that many people wrestle with. They have raised their families and now they do not need all of the space that they may have in their homes and they do not want to be tied down to the maintenance and the repairs that will be needed to keep their home looking pristine. On the other hand moving is expensive with real estate fees, legal fees and even moving fees. Assess the cost of moving and make your decision based on your personal likes, needs and capabilities. If you are young, in your twenties all you need to do is to develop a broad based plan at this time. The main thing to focus on is how much money will you need when you retire and how much money you need to set aside for your savings to achieve this number. In your forties, your plan needs to get a little more specific. A tentative retirement age should be set, but not cast in stone. A detailed assessment of your financial situation should be done. How much will you have saved and how much income will your savings generate for you. If pension plans are part of your future, you can include these amounts in your calculations, however as we have mentioned before nothing is cast in concrete until the time you actually collect them. Now is the time to focus on paying down debt so that you will be debt free at retirement. Picking up a vacation home might be also considered if this is part of your plan. Finally an assessment of what you need to achieve before you can consider retiring. For example, paying off the house, getting the kids through school and married, paying off the car and any other items that are personal to your situation should be assessed and plan put in place to deal with these items. As you near your retirement goal, the age when you plan to retire it is time to take a full and complete inventory of your situation. Determine if you are actually ready to retire financially, mentally and emotionally along with the whether your plans have been fulfilled. For various reasons you may decide to retire later even though your plan has been achieved and financially you are ready. Wouldn’t it be nice to be in this position! You have the freedom to make your own decisions regarding work and retirement and not be forced into a situation of working because you have to. Some people love work and will keep working because they love the challenge and the social aspects that go along with it. Some people want to retire from their career, but keep on working at something that interests and challenges them. Many consultants just want to do a job and not be involved in the office politics at all. There is something for almost everyone and having the financial confidence to be able to turn down jobs that do not fit your plans is wonderful. Life throws all kinds of curve balls at us. Some people seem to lead a charmed life and never have financial or health problems to deal with. Consumers can lead a charmed life. Then suddenly their life is turned upside down with a health issue or perhaps a lay off. Suddenly you are scrambling to find another job or deal with a health issue that may prevent you from working. This is the time to have an emergency plan. In particular a financial savings plan that is set up specifically to deal with this sort of thing. Experts suggest that consumers should have a minimum of 6 months salary set aside to deal with these sorts of things particularly a job loss. It may take you this long to find another job and get reestablished. We actually think that something closer to 12 months is better to ensure that there is adequate money for longer layoffs and longer health issues. Focus on dealing with the problem at hand. If it is a job loss, then focus on finding another. If it is a health issue, do what you need to do to recover. At the same time reevaluate your emergency plan to see if there are other steps you need to take. Focus on preventing falling into a bankruptcy situation or losing your home. Over the past 5 years, from 2008 to 2013, many people suddenly found themselves being laid off. Also they had a very hard time finding a new job. Many people who were near retirement were the first to go. As bad as it is, these people had a tough time finding jobs to begin with and jobs that came close to what they were previously earning. Suddenly their retirement plans were in jeopardy. Their living standard was in jeopardy. Those people who had savings for retirement found themselves retiring early or living on less. Their emergency funds got drained pretty quickly because they did not adjust their standard of living or take jobs that while beneath them would see them through the tough times. This is one of the main reasons that we encourage consumers to begin saving for retirement early. If you do start early then there is that cushion to see you through tough times and gives you the flexibility to decide when you want to retire. Most people think that it will never happen to them. Most people think that their company, even the government jobs are for life. Well the average working life is 30 to 35 years and most people these days will work for a minimum of 3 to 4 companies in their life time. In addition, even governments lay people off as do large companies. Some companies that you might never expect to fail do so. Just look at GM who went bankrupt in the last couple of years and various governments around the world are laying off people and cutting benefits. This is why you must make your own arrangements for retirement. Anything that you gain from employment is a major bonus! Health issues that cause us to lose our jobs. If you are not familiar with financing, with retirement planning, investing etc, finding a good investment adviser. He or she can make a world of difference. Follow the golden rules of investing. Never put all of your money into one investment. Always diversify. If it does not make sense or you do not understand what your adviser is telling you, seek a second opinion. Talk to another adviser or even a family member. If it sounds too good to be true, then it probably is. You cannot be too careful with your hard earned cash. We talked about diversification of your investments. Always place your investments into a variety of bonds, stocks and mutual funds across various industries. Choose blue chip companies that pay well in terms of dividends. If you are investing in speculative stock or investments, be prepared to lose the money even though great profits are promised. Take the time to educate yourself about investing. What are some kinds of stocks or companies better than others? Why are some strategies better than others? In the end it is a gamble, but the more information you have, the better chance you have of earning an income and protecting your core investments for retirement. Attend seminars, read the news, read investment books etc and discuss options and strategies with your fellow investors. Some people just hand over their money and blindly trust their investment advisor. For many it works out find, but for many they lose their shirt. At least if you are involved in all of the decisions, you will understand why the decisions were made. Also what the risks are associated with the investment that is being made. We have covered many tips and issues as well as suggestions for planning your retirement. If even one of these ideas has helped you then we have done our job. Which is to help guide consumers and get them thinking about planning for their retirement. For more retirement ideas and areas to consider, click here. This entry was posted in Fin Independence and tagged Senior Retirement Plan on 2013/02/07 by ernie.